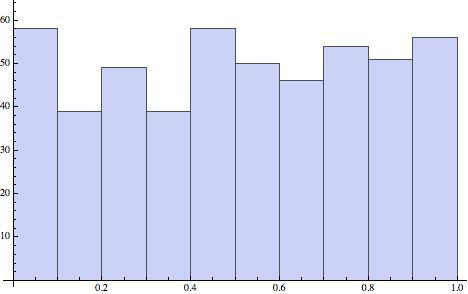 Given two data sets it is a not unreasonable question to ask if they have similar distributions. These goodness-of-fit tests basically perform a hypothesis test with the null hypothesis being that the data sets are identically distributed, and an alternative hypothesis that they are not. The goodness-of-fit tests return a p-value, and a small p-value indicates it is unlikely the data sets are similarly distributed. So, if we carry out the Pearson Chi-Square test on the uniform and normal data sets, as above, we get the exceptionally small p-value indicating, very strongly, that the two data sets are not similarly distributed. We see that despite some variation the values are all very small, as we would expect. 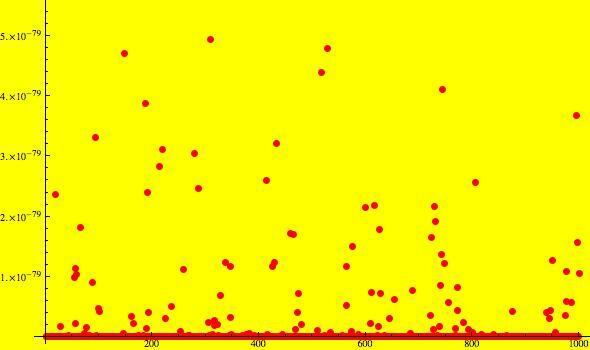 Now let’s see what happens if we choose 500 points from a uniform distribution, and 500 more points from the same uniform distribution. 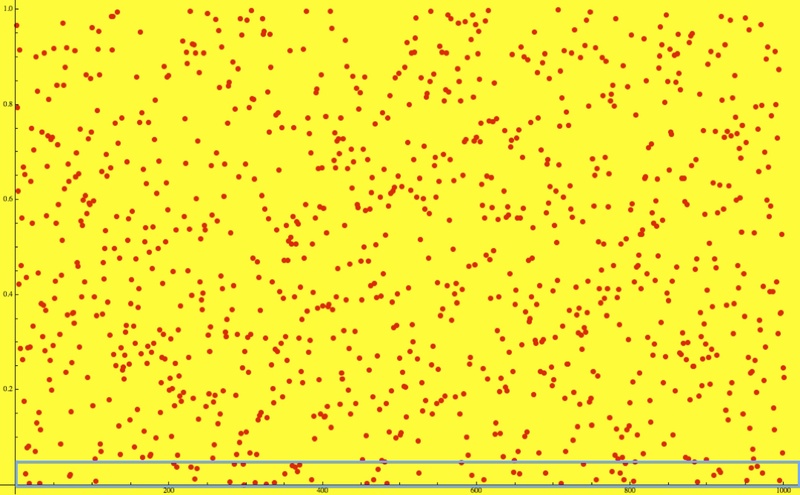 We expect the Pearson Chi-Square test to return a reasonably high p-value, indicating that we cannot reject the idea that the data come from the same distribution. We did this once and got a satisfying 0.741581 as the p-value. But what if we repeat this experiment 1,000 times. How will the p-values vary? These p-values seem reasonably uniformly spread between 0 and 1. Are they? 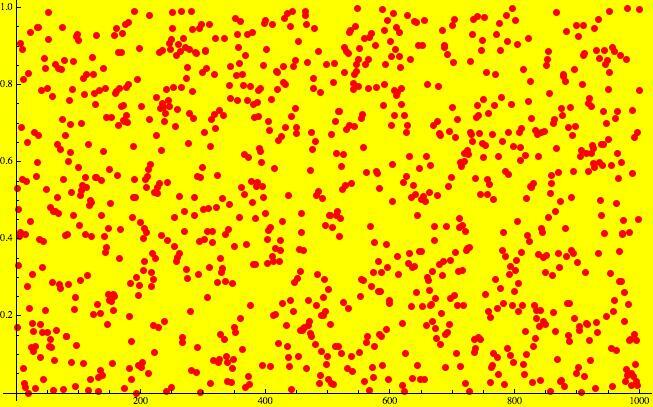 The Cramér-von Mises goodness-of-fit test indicates that we cannot reject the hypothesis that these p-values are uniformly distributed in the interval [0,1]. We set the confidence level for the Pearson Chi-Square test at 0.01, so we could expect that 1 time in 100 the Pearson Chi-Square test will indicate that the two data sets are not from the same distribution, even though they are. In 1,000 trials we could expect about 10 such instances, and that is more or less what we find. We randomly reset the seed for the pseudo-random number generator in Mathematica® at each of the 1,000 simulations. 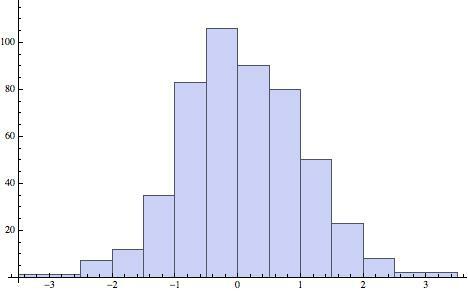 The result of uniformly distributed p-values for data sets from the same distribution is not peculiar to the Pearson Chi-Square test. The uniform distribution of p-values under the null hypothesis is proved here.